We respect your online privacy and will never spam you. By submitting this form with your telephone number you are consenting for Rita Tsoukaris to contact you even if your name is on a Federal or State "Do not call List". 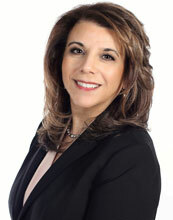 In September 2006, Rita became Broker/Owner of RE/MAX Integrity Leaders In Centereach. Now with 20 Sales Associates, RE/MAX Integrity Leaders is the #1 RE/MAX office on Long Island for Homes Sold in 2014 & 2015. Along with her office, Rita has built a team, that has ranked as the #1 RE/MAX Team on Long Island for Homes Sold in 2014 & 2015. Rita was awarded Top Producer in Suffolk County for Residential sales in 2015 by Long Island Business News.